If you walk up my freshly painted black and white stairs, and across the shiny “new “wood floor, and by the hall library (which I haven’t shown you just yet), and peak behind one of the crisply painted black doors…you’ll find the ugliest room in my house. It’s my best kept worst secret: the upstairs bathroom. It’s fully furnished with puke green sinks, shower and toilet, rotting drywall, pealing lanolin, leaking pipes, and rusty fixtures. It’s the last major room remodel we have left that needs to be addressed, preferably sooner than later. I’ll spare you the awful pictures, and instead show you some of my inspiration for this tragic little bathroom of mine. First off, we’ll need a floor. I’m thinking some crisp black and white would be nice. I know, I know, I’m just full of surprising color choices. 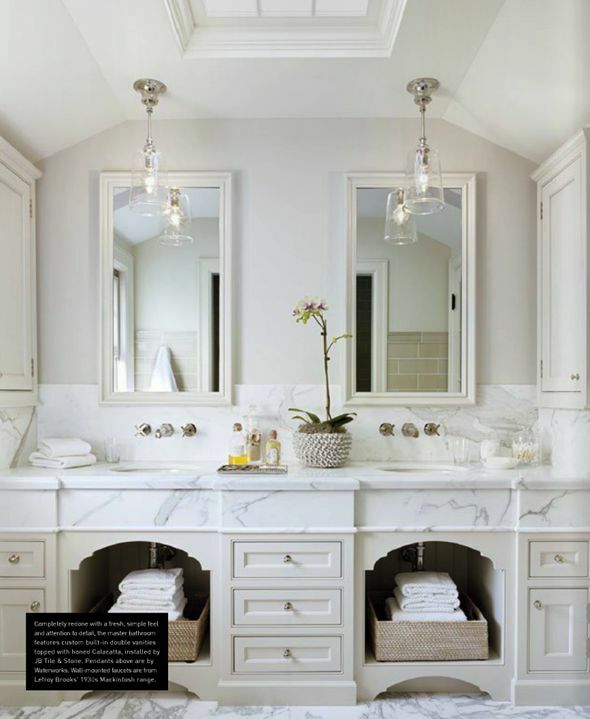 I really like the look of small tiles, and they seem like they would be pretty easy to install as well. 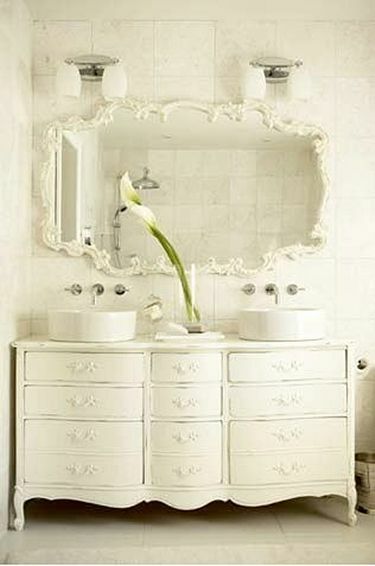 A good alternative to building a vanity from scratch, would be to turn a piece of furniture into a vanity. I would still get a fair bit of storage out of it, and it might actually be a less expensive option. 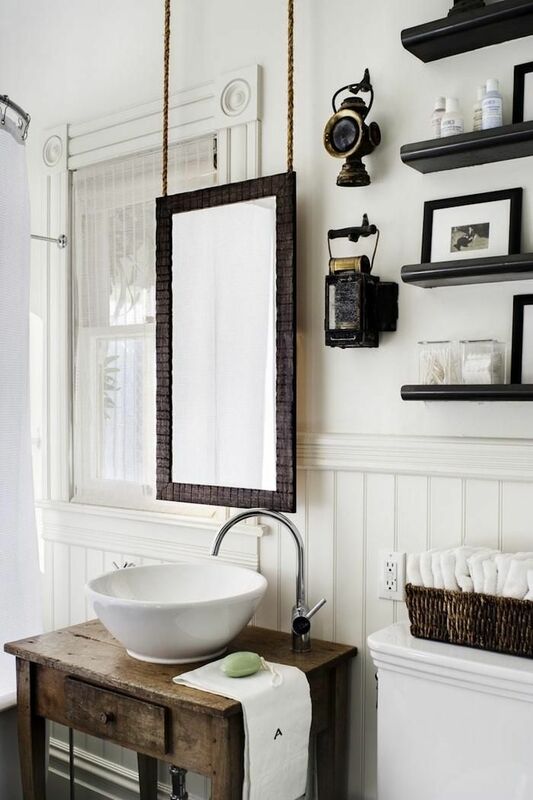 I’m totally in love the idea of using vessel sinks too. I think they are a nice, clean, modern touch. 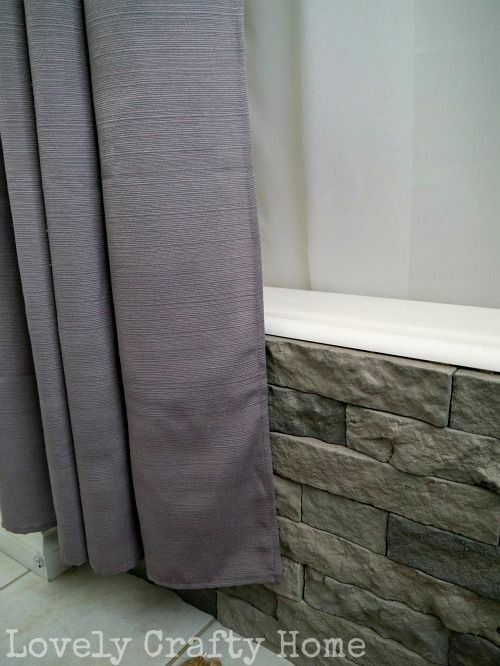 I don’t know what we’ll use for the shower surround, but I love the idea of adding a decorative front to the tub. 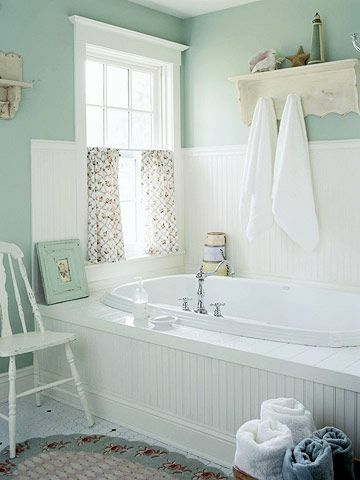 This beadboard is super cute. The walls will be painted white, of course. I always love to have some natural wood mixed in with all my blacks and whites to warm the up space. 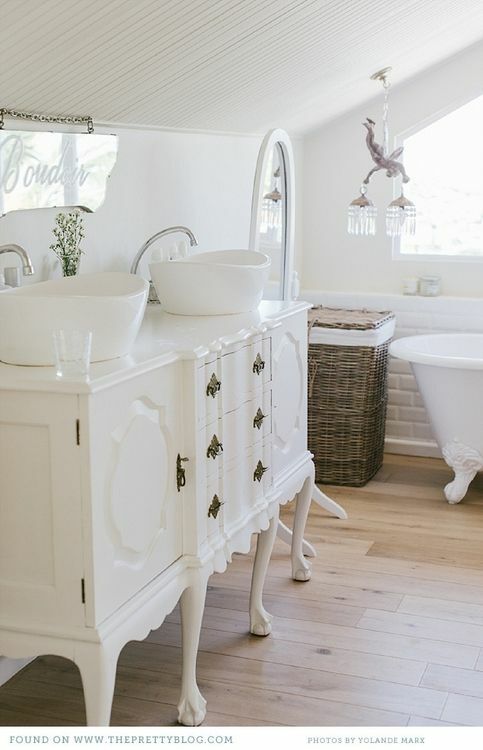 This bathroom is so unique and cozy! And last, but not least, I’m sure I’ll throw in a hearty pinch of color. You know, just so things don’t get too serious looking. Aside from fixing the plumbing, we’ll be doing the work ourselves. 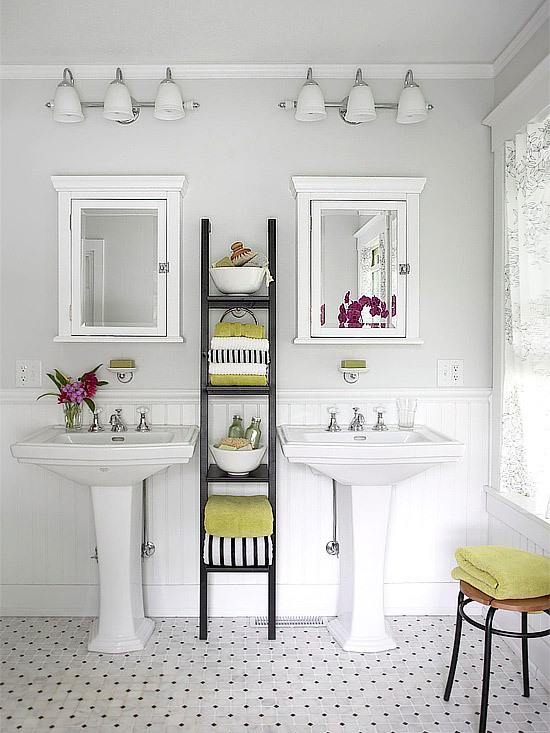 These ideas are all things that I think are budget friendly and fairly doable for us. Of course, every project is full of learning experiences (i.e. random things going wrong that you have no clue how to fix), so I’m sure we have plenty of fun times ahead! Good job! God is good!